I will say it is grossly overused to the point it practically doesn’t mean anything anymore. It seems to be used most by the unimaginative, unthinking folk that typically have rote responses to anyone who may ask about their various experiences. What do you think of this painting?…movie?…artichoke? “Oh, it’s nice.” Then again, some just don’t have the extended vocabulary for using many other descriptors. Myself included. And we say it to connote we are at least feeling or thinking something positive. Regardless, I do know it is okay to be nice. It is not boring, negative or otherwise bad. Being nice is not a sign of weakness, nor is it indicative of having a rubbery backbone. Simply put, it is a virtue that is sorely lacking in our everyday encounters where it is needed so badly. 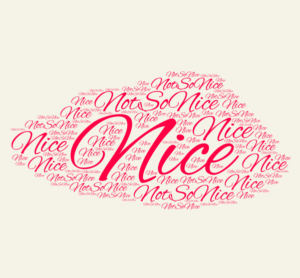 More importantly I know nice is important because when someone is nice to me I notice it. No. Actually, when someone is not nice to me I notice that more. 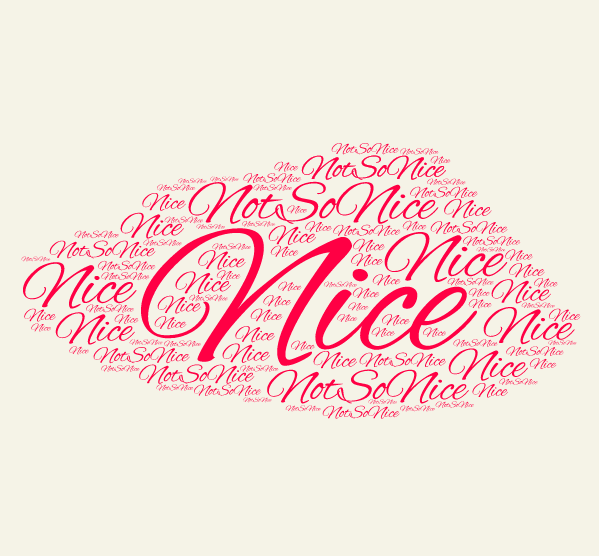 It has taken me over 50 years of conscious effort to notice more of the nice in people than the not so nice. The times I need to practice being nice the most is when I’m out in those stressful, high volume (lots of people) kinds of places like stores, restaurants and on the roads. I need to make concentrated efforts to be in a nice state of mind. Additionally, I must continue to practice being nice when I am not in a nice frame of mind, when my fuse is short and that last raw nerve has just been jabbed. I will admit I have used being nice as a weapon of sorts to battle the not so nice. And perhaps battle is not the most appropriate word choice especially seeing as I’m talking about being nice in the first place, but it does follow my logic: Battling the not so nice with nice…then killing them with kindness.